John Boyle is the Director of Eurosafe Solutions. ‘Working at height’ means working in a place where a person could be injured by falling from it, even if it is at or below ground level. Working at Height Regulations applies to all work at height where there is a risk of a fall liable to cause personal injury. Who is responsible for Working at Height? 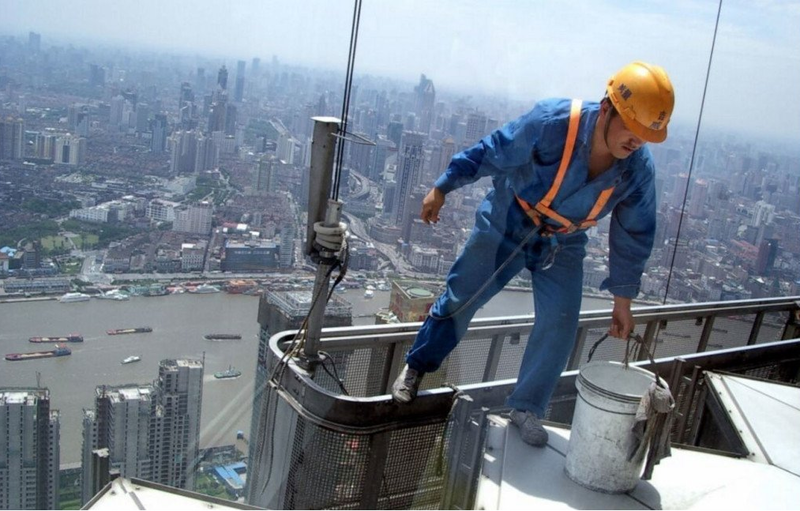 The Work at Height Regulations 2005 were introduced in a bid to prevent death and injury caused by falls from height, therefore minimising risks to workers. Employers, facilities managers, building owners and anyone else that controls work at height, including the self-employed can be held responsible should an accident occur. They would be liable if an accident occurred and the equipment was found to be faulty or uncertified. These individuals and organisations have a legal responsibility to ensure that the Work at Height Regulations 2005 are implemented and that all activity is properly planned, supervised and carried out by competent persons. They are also responsible for ensuring that fall protection systems for Work at Height are inspected regularly, at a maximum 12 monthly intervals, but more frequently when working in hazardous environments. 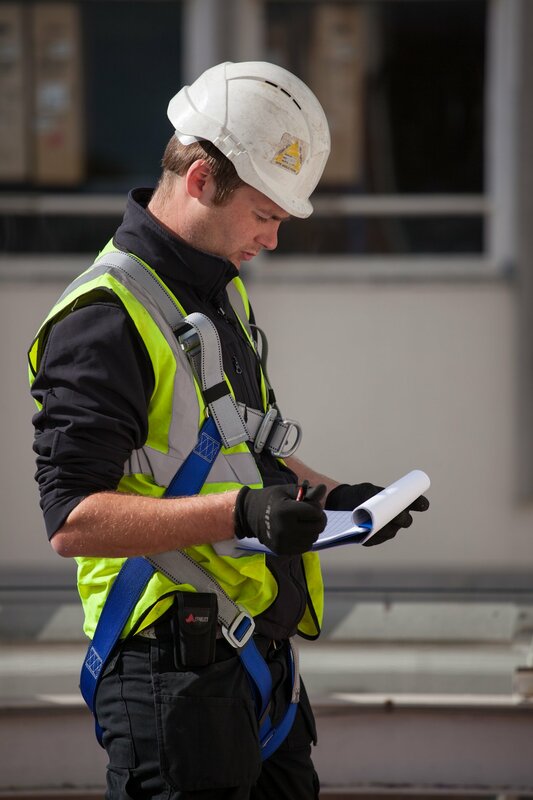 The employer (or organisation that controls Work at Height, such as a facilities management company) is required to take responsibility for certain duties of care under the Work at Height Regulations 2005. The regulations state that the employer must ensure that workers have available to them the appropriate Work at Height equipment, including Personal Protective Equipment (PPE). Workers should also receive appropriate training in the use of that equipment and whilst they are in training with the equipment, they should be properly supervised. 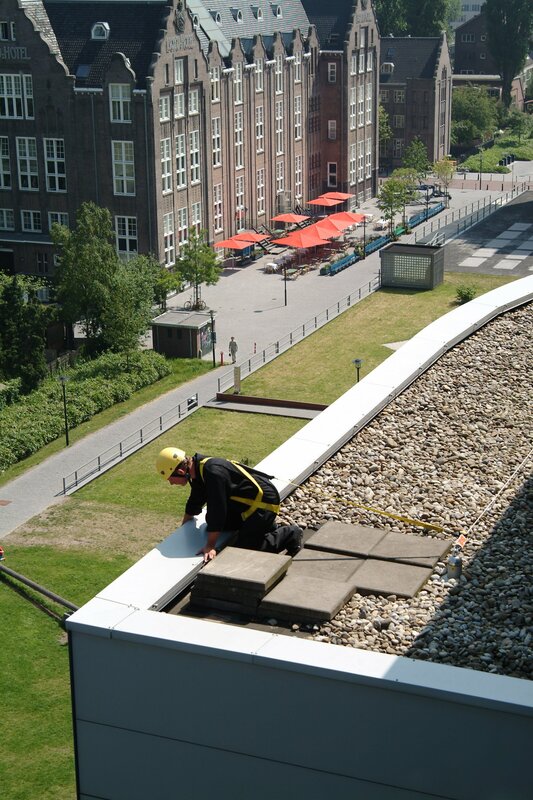 Regulation 12 of The Work at Height Regulations deals specifically with the inspection of fall protection equipment. Here, the responsibility lies with the employer to have Work at Height equipment properly tested and inspected on a regular basis. For example, in the case of a handrail and guardrail (under PUWER 1998) this would require at least 12 monthly inspections, or more frequently if the environment is hazardous. The Work at Height Regulations also state that surfaces, parapets or permanent rails, where work is to be carried out, should be checked on every occasion before that equipment is used. Again, it would be the responsibility of the employer (the Duty Holder) to ensure this is carried out effectively. The legislation points to certain ‘danger areas’ such as fragile surfaces, where it advises that special consideration is given. In case of fragile surfaces, the employer (or contractor responsible for the work) must ensure that a suitable and sufficient platform or covering is supplied. They must also take all precautions to ensure that the distances from these surfaces to the ground are restricted to minimise the consequences of a fall. Another responsibility of the employer or duty holder is to ensure that workers are alerted to fragile surfaces with prominent warning notices as they approach the hazard. In addition the guidance recommends that equipment is made available, such as guardrail, to prevent an individual entering a dangerous Work at Height area. A case in 2012 was directly linked to the directors of a business not taking responsibility for Work at Height. They were charged with gross negligence manslaughter and a breach of Section 2 of the Health and Safety at Work Act, through the neglect of their duty of care. As a result, they were ordered to pay a significant fine. In this case, an employee died from a fall through a fragile roof, having been asked to go on a factory roof to make repairs. The employee was unsupervised, with no training and no safety equipment, such as crawl boards or fall restraint harness. The roof was found to be unstable and safety maintenance work had not been carried out by the company, despite warnings from the HSE. The worker subsequently fell through the roof and lost his life. It was adjudged that the Work at Height Regulations were not adhered to, which meant that employees were inadequately protected. This was one of the first cases to reach trial under the Corporate Manslaughter and Homicide Act and it has helped to reinforce the need for senior management to take responsibility for workers operating at height. Latest statistics from the HSE reveal that, although falls from height are reducing, they are still one of the most common causes of injuries to employees and account for 29% of fatalities in the workplace. Employers are taking their responsibilities very seriously, not least because of the risks to a business, but also the number of lost working days every year as a result of injuries from falls from height. One of the best ways for a business to minimise its risks from Work at Height activities is to remain compliant with the legislation. Working at height is one of the main causes of fatalities and major injuries in the U.K., accounting for nearly 3-in-10 fatal injuries to workers. Here Dominique Vansteenkiste, high-risk business leader at Honeywell Industrial Safety in EMEA, looks at some key hazards, safety culture and the impact of regulations, discussing how personal protective equipment (PPE) can further support safe practice. Working at height refers to any work that takes place where a person could fall a distance that can cause personal injury. This includes working on a ladder or flat roof, falling through a fragile surface or even falling into an opening in a floor or a hole in the ground. The key point is that workers don’t need to fall far to be seriously injured or even killed. Work at height takes place across a diverse range of industries and many hazards will be specific to each working environment. However, a common cause of many accidents is a failure to take sufficient precautions, especially when carrying out work at relatively low heights (from zero to six metres). This is because workers sometimes fail to plan properly and underestimate the risks involved in working at this height. They don’t secure themselves or the equipment properly or they may use equipment in inappropriate areas where the ground isn’t secure. A company’s safety culture strongly influences the way workers behave when they work at height and therefore the likelihood of accidents. Many organisations are entirely compliance-driven. They will provide workers with the correct PPE and sometimes deliver basic training, but – as long as they comply with the basic legal requirements ­– their efforts end there. Employees are provided the equipment for the job and are expected to know how to use it correctly. In other words, if an accident happens, it is the employee’s fault. Yet, regulatory compliance alone is clearly not enough to ensure workers are kept safe and to avoid serious accidents and fatalities. More progressive companies with strong safety cultures can dramatically improve safety practices. Training and supervision will be taken seriously and management will regularly inspect equipment and practices on-site, encouraging feedback from workers and disseminating best practices. Demonstrating that you care about the health, safety and wellbeing of workers will help instill positive safety behaviour and increase staff retention, especially in competitive industries – such as oil and gas and the utilities – where specialist skills are in demand. Whereas a strong safety culture can go a long way to ensuring that those working at height are protected, regulations also have a vital role to play in improving safety practices. The PPE Regulation (EU) 2016/425 is a case in point. The new regulation, which replaces the existing 25-year-old PPE Directive and is due to come into force in April 2018, is expected to have a significant and positive impact on the future PPE market. To start with, all new products will have to be recertified every five years to be compliant with the latest standards. Understandably, the standards have evolved considerably over the lifetime of the PPE Directive and the stricter conditions required by the new PPE Regulation means that products will comply with the latest risk analysis and consequently be more suitable for use. Another important change is that importers and distributors will share the responsibility with manufacturers to ensure that only products that comply with the latest (and improved) requirements will be made available for users. This is all part of a general shift to drive up the quality and standards of PPE. One particularly important area related to this concerns the lifespan of products. Something that is very difficult to assess is the ageing of materials used in the manufacture of products. Harnesses are a good example. After exposure to ultra-violet light and extreme weather conditions over time, the ability of harnesses to withstand a break can vary considerably. Manufacturers will say that a harness can be used for 10 years as long as it is inspected correctly every year. However, a visual inspection of the webbing is not a fool-proof safeguard. Manufacturers like Honeywell are helping to resolve this issue by developing an ageing detector, which can identify whether a harness is liable to snap should a worker fall over the edge. Working at height explained 'Working at height' means working in a place where a person could be injured by falling. Find out more in this resource hub. 29% is an absolutely shocking number! It would be very interesting to find out what industries that was spread across and if there is one in particular that standards can/should be lifted in.